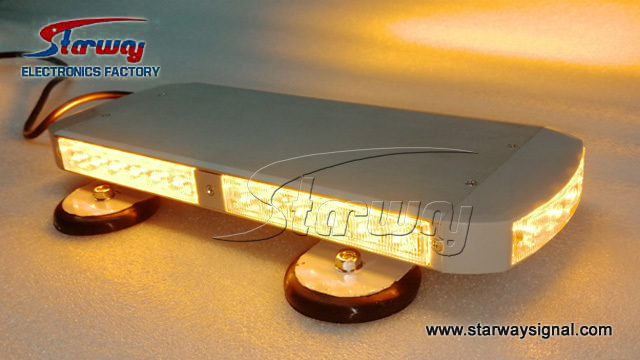 Dimensions：Length: 12" x Width: 5.75" x Height 1.8"
This Mini LED Lightbar might be small, but what it lacks in size it makes up with the brightest flashing emergency vehicle lights in the industry. 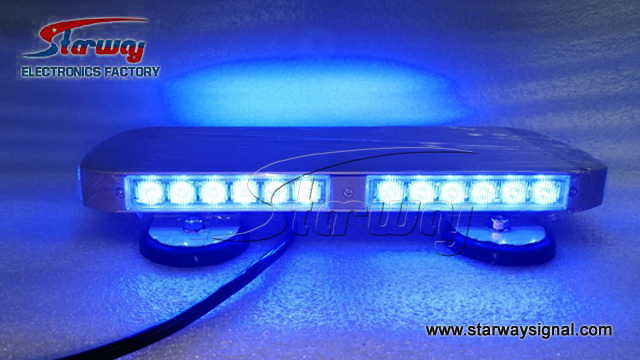 The Warning Mini LED Lightbar has been designed using the most advanced technologies in the field. Easy to install, built to last, and an unbeatable value, the Mini LED Lightbar will give you all-encompassing and wide-reaching light that transforms your vehicle into a high-visibility wonder. 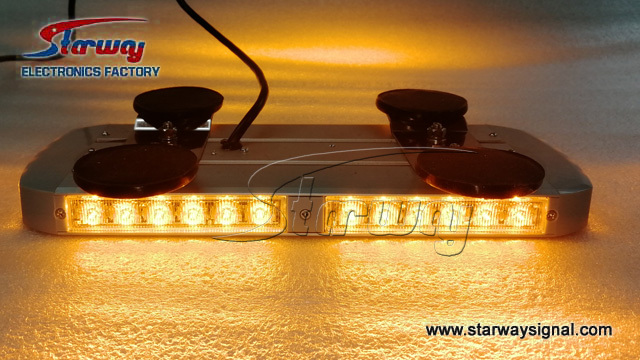 With its cutting-edge technology and engineering, the Mini LED Lightbar is designed for those who need high output lights with a simple function. 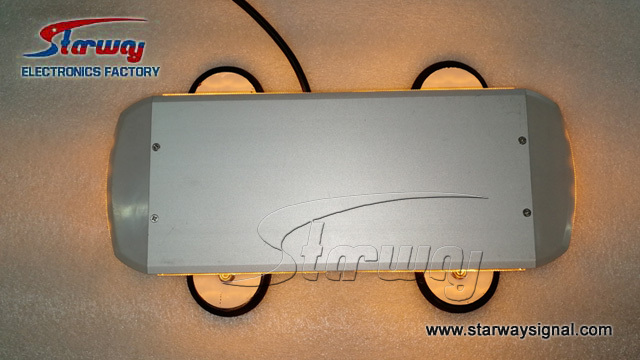 -- It features the latest and most powerful LEDs at 5 watts each, 4 per module with a total of 32 LEDs housed in both TIR and Linear lenses. -- Its 360-degree lighting system ensures that this light will be spotted both day and night, while its low amperage draw and low-profile design keeps it fuel-efficient and discreet. -- It comes pre-programmed with 25 selectable flash patterns and self-contained flasher which can be easily controlled with the included 10-foot cord and 40 lb. magnet mounts for easy installation* and cigarette lighter plug with its On/Off/Pattern change switch. 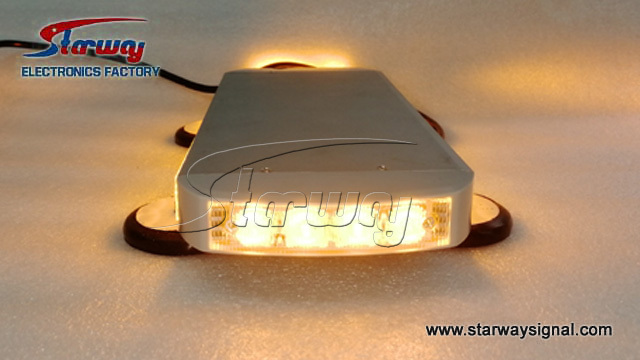 -- This light is fully encased and includes an epoxy-covered flasher, making it waterproof and reliable in even the worst weather conditions. -- Dimensions: Length: 12" x Width: 5.75" x Height 1.8"
*Magnet mounting is not recommended for use on vehicles in motion. Please use permanent mounts for vehicles in motion. 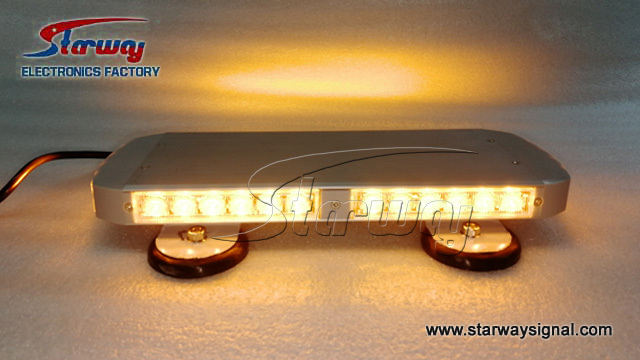 Length: 12" x Width: 5.75" x Height 1.8"